You can tell Panda Ross waited her entire life for this moment! 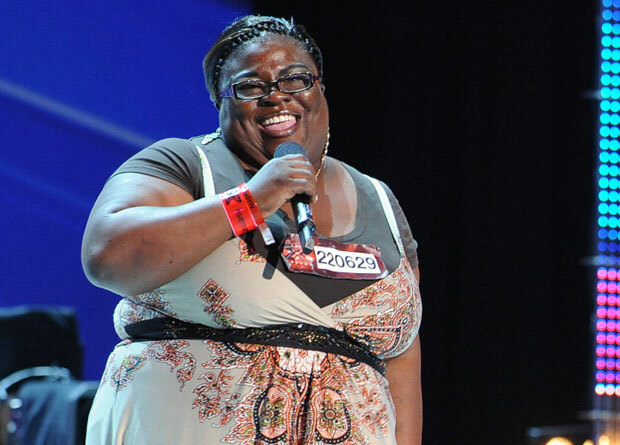 Singing an unforgettable rendition of Sam Cook’s “Bring It On Home to Me” ( on The X Factor) Panda, a 42-year-old from Dallas, Texas wowed audiences with her “legendary voice” as stated by Simon. Before performing, she admitted that she busted out of the hospital, after being admitted for seven days for pneumonia, to audition. Seems to be the familiar story of those who are chasing their dreams to do something out of the ordinary. Unfortunately, Ms. Ross had to be rushed to the hospital immediately after her audition.